I was shocked when I read this story yesterday. Because we have children, or we have friends with children, I decided to post today this information to spread the word around. A few word about what happened: a 3-year old girl swallowed 37 (!) buckyballs, which had her intestines ruptured. The girl had an emergency surgery to repair damaged intestines. Poor little girl! This accident is a pure example of parental negligence. 37 buckyballs? Not one, not two, but 37!!! This child was left unattended for quite some time (the social worker in me speaks here). Come on, where were you, mom and dad? Definitely! Where were the parents? Although I have no kids so I probably can't talk, but still! The situation is very unclear to me... Yes, you can talk, even if you don't have kids, you have your opinion. And thanks for it! I think, the best practice is to teach kids a word "NO" so they know what they can play with and what is No play for them because you can't protect them 24/7 as much as you try. And of course, watching them is our job as a parents. I hadn't heard that but we did just recently throw out a bunch of small magnets just in case they were to fall off the fridge. That's just awful! It may be a solution for now, later as parents we come to realization that we can't through everything away, so it is important part of our parenting to teach them what No means. And watch them. When my son was younger, I constantly had him with me around the house while I was doing housework! Everybody thought I was a bit exaggerating, but it is better to be safe than sorry! Even now that he is 9 I check him regularly while in the house! I feel so sorry about the poor kid that went through all this because of the negligence of the parents! Thank you for sharing this information. I have a 3 year old son whom I never keep my eyes off as well as my 11 year old girl. People say I'm over protective. I really could care less they're my children and its their safety that's most important. Thanks for the info! We have two young ones, so appreciate that you shared the news! 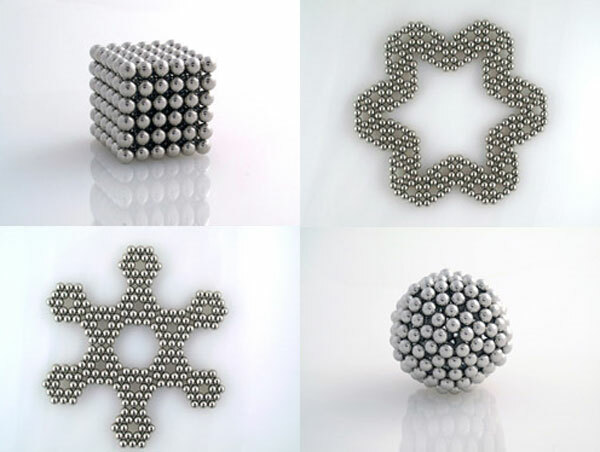 When my sons were little, they loved to play with Magnetix, building blocks that were magnets. The same kind of thing happened in the news...children eating the magnets. I got rid of all of them and won't have any small magnets in the house. They sure can. One can never be too careful around it.